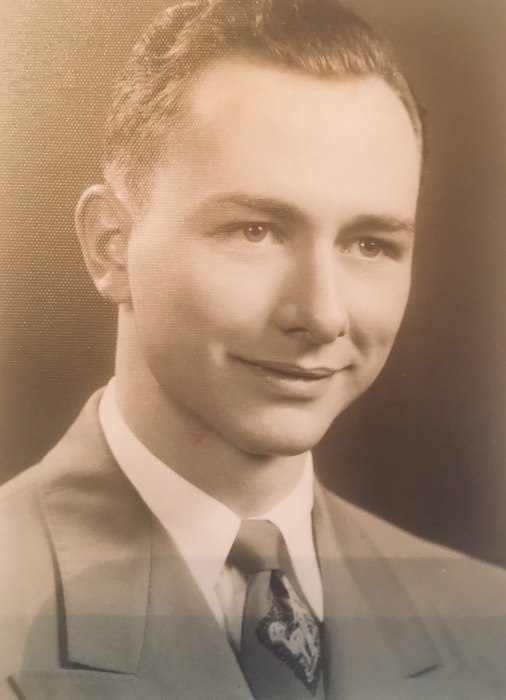 Obituary for Lyle Frehafer | Hamilton-Breiner Funeral Home & Cremation Services, Inc.
Lyle Frehafer, 87, of Cressona died peacefully early Monday morning November 26, 2018 at Manor Care, Pottsville with his beloved wife of 54 years, Jane (Siegfried) Frehafer, by his bedside. In addition to his wife, Lyle is survived by two sons; Richard J. Frehafer and Todd W. Frehafer. Lyle cherished his family and he was dearly loved by them. He always felt grateful to God for the life he was given. Our father was a man not ashamed to confess Jesus Christ as his Lord and Savior and the source of all his blessings. Born in his parents’ home in Cressona, he was the son of the late John S. Frehafer and Lettie (Romberger) Frehafer. He is preceded in death by a sister, Nadine F. Oswald, 95, and brother-in-law, Ray W. Oswald, 92. Lyle was a graduate of Cressona High School, Class of 1948. He served in the US Army from 1952-54. He loved his hometown and was very active in politics and his local community: Lyle served the Cressona Borough for many years as Council Member and later as Mayor; was a charter member of the Pine Swamp Gun Club in Summit Station; a former 32nd degree Mason of Lancaster Lodge 43; a member of the Cressona Historical Society; a former member of Cressona Fire House Company No. 1 as well as an Assistant Scoutmaster to Cressona Boy Scout Troop 130; and a member of St. Mark’s United Church of Christ in Cressona. Lyle’s close friends also knew him as a lifelong baseball fan who had followed Connie Mack’s Philadelphia Athletics in his youth until he became an avid Philadelphia Phillies fan, rarely missing a game. In his spare time, he loved his workshop, vegetable gardening, watch repair, auctioneering, hunting, and reading countless Westerns from the local library. Lyle was fond of talking about God, government, and family, and enjoyed a good joke about all three. His family is especially proud of the strong work ethic Lyle demonstrated throughout his life. Born at the start of the Great Depression, Lyle never forgot the lessons learned in that era of widespread poverty: work as hard as you can, whenever you can, to help your family. As a child, he picked and hauled coal to help his parents. As a teenager, he traded summer breaks for employment at the Pottsville Box Factory, and Reider’s Shoe Company and The Walkin Shoe Company in Schuylkill Haven. As a young man, he was a top salesman in Doutrich’s Clothing Store in Pottsville, Feldser Printing in Lancaster, and Lambert Hudnut in Lititz. Later he attended Bowman’s Technical School in Lancaster during the day while working as a short-order cook at night. As a married man, Lyle held several sales positions in Berks and Lebanon counties, including Boscov’s and Furst-McNess Company. He was always willing to make sacrifices for his family. Lyle was a devoted husband and wonderful father. He was a strong and principled man, with a deep faith in Christ, conservative convictions, and forthright speech. He had a storyteller’s gift of humor with a keen memory for detail. He never stopped striving, never stopped learning. His family will greatly miss him. The Lord now holds forever what we could only hold for a time. God Bless you, Dad! Graveside Services, with Military Honors, will be held at the convenience of the Family, in Cressona Cemetery. Hamilton-Breiner Funeral Home & Cremation Services, Orwigsburg is honored to have served the family.